A bronzer is a staple make-up part of every girl’s make-up kitty, right? It helps you get that oh-so-hot sun-kissed look after all!! What if I say you can make your own homemade bronzer, that too with ingredients straight from your kitchen and Yes, without any chemicals! Here are some recipes to make very natural bronzers with ingredients from your kitchen. Natural Bronzer Powder: Add all the ingredients in a clean bowl and mix it thoroughly until you get a smooth mixture without any clumps, that’s it..And you have your own bronzer ready. 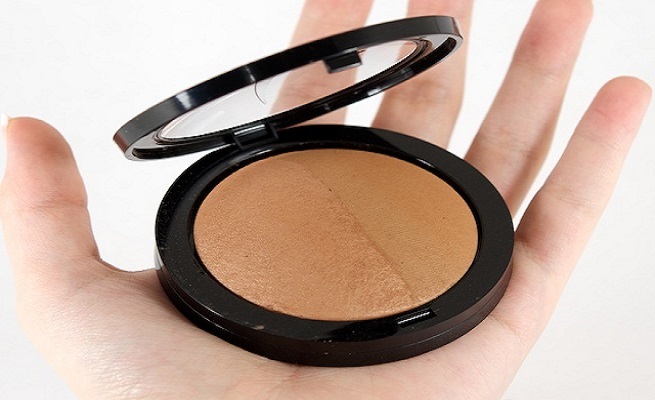 Once the bronzer is ready, transfer them into the empty container and you can start using it. Note: The ingredients of the natural bronzer can be adjusted according to the shade you wish. Add more cocoa powder if you want to darken the shade and more corn starch powder to lighten the shade. 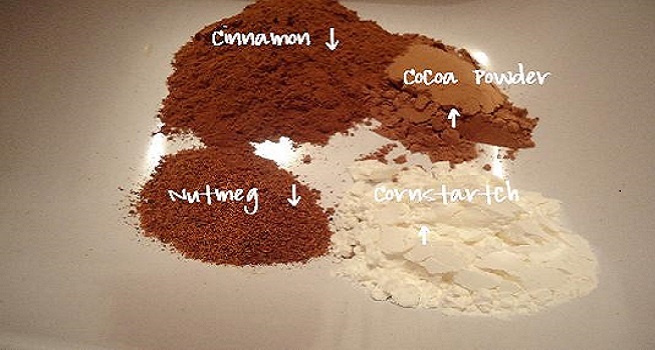 A word about the ingredients: Cinnamon is used as it is known to impart a healthy glow to the skin. Nutmeg contributes the sun-kissed brown colour. Cocoa is used to get the brownish depth in the colour. Arrowroot powder or cornstarch is added to help to lighten and spread out evenly. To hold it all together we add the essential oil. To make a natural bronzer lotion, all you need are the same ingredients used to make powder bronzer along with an addition of plain body lotion. The quantity of the ingredients and the method remains the same, but once you are done making the bronzer, all you need to do is add the plain lotion to the bronzer simultaneously mixing it well until you attain the required consistency. Once you have blended the lotion with the bronzer transfer the bronzer liquid to an empty bottle and, there you go- you have your own liquid bronzer ready! 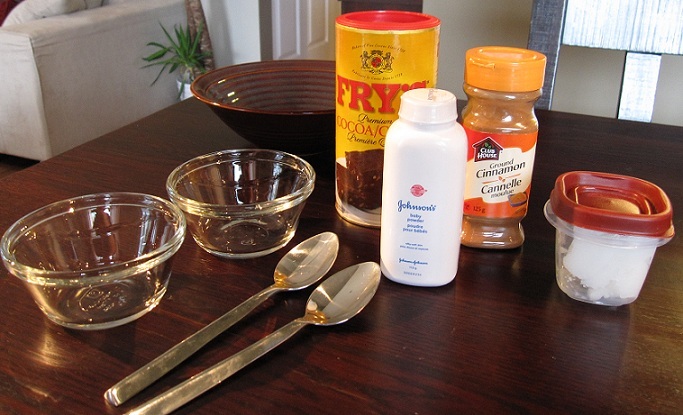 Start off by taking out some baby powder into a bowl, the baby powder is the main base for the bronzer in this recipe. To this add cinnamon powder and cocoa powder and mix. The quantity of the cocoa powder must be added as per the shade you wish to attain. Once you have mixed the ingredients well and reached the shade you desired, test it on your skin too. Using these natural powder bronzers and liquid bronzers can not only save your skin from harsh chemicals but save you from spending huge bucks on bronzers too.